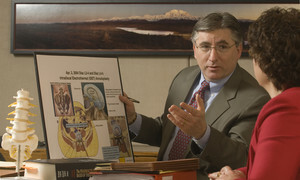 The attorneys at the Alaska Personal Injury Law Group often handle cases referred to them by other lawyers. Before you reject a catastrophic injury or death case, please talk to us for a second opinion on the merits of a potential claim. We have accepted cases that have been rejected by other law firms, and eventually obtained multi-million dollar recoveries for those clients. Sometimes extensive forensic investigation and the assistance of experts is needed to identify possible claims. This is particularly true in the areas of product liability, workplace accident and insurance bad faith litigation. Before rejecting a case, contact us to determine if additional investigation and research are appropriate. The attorneys at the Alaska Personal Injury Law Group have the resources and skills necessary to identify the potential claims and evaluate their merits. We have also successfully served as co-counsel with other attorneys who remain as lead counsel. We have brought significant contributions to complex cases by assisting attorneys with case theory, case development, engagement of expert witnesses, analysis of scientific issues in cases with difficult causation questions, and analysis of medical literature in support of complex medical and damage issues. 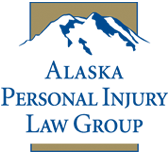 The Alaska Personal Injury Law Group participates in fee sharing arrangements with referring attorneys and complies with all bar association rules regarding referrals.